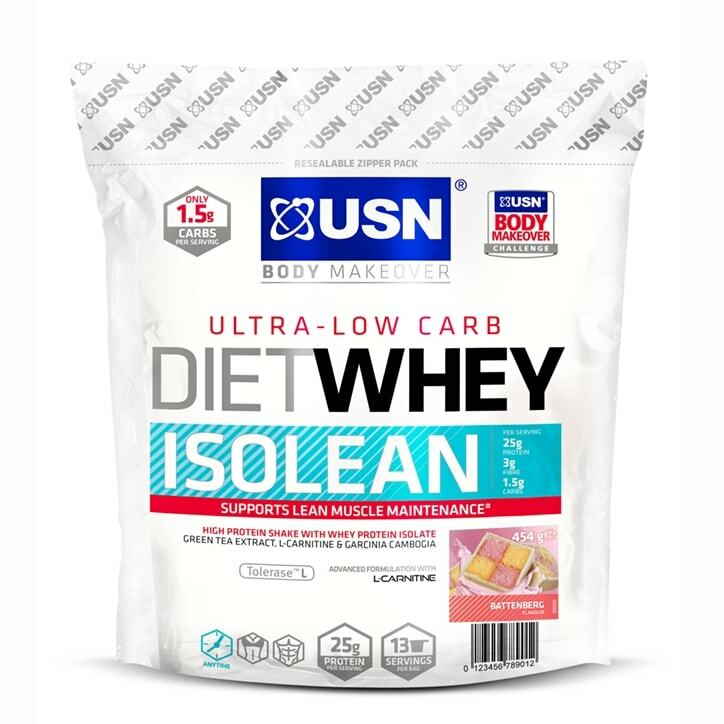 USN Diet Whey Isolean Battenberg is rated 2.7 out of 5 by 3. Rated 1 out of 5 by Horselover2344 from Disappointed Although it tastes nice, and mixed well, it is very watery and 'non filling'. Which is a real shame. I won't purchase this product again and will purchase the other brand I got from Holland and Barratt in future which is much thicker. Rated 5 out of 5 by DrHelly from Mixes well and tastes delicious I was a bit worried this would be a bit sweet but it tastes delicious. Looking forward to trying some other flavours in the range. Fed up with boring chocolate, strawberry and vanilla.